Did you know that a group of pirates is called a tango of pirates? No? Well now you do! 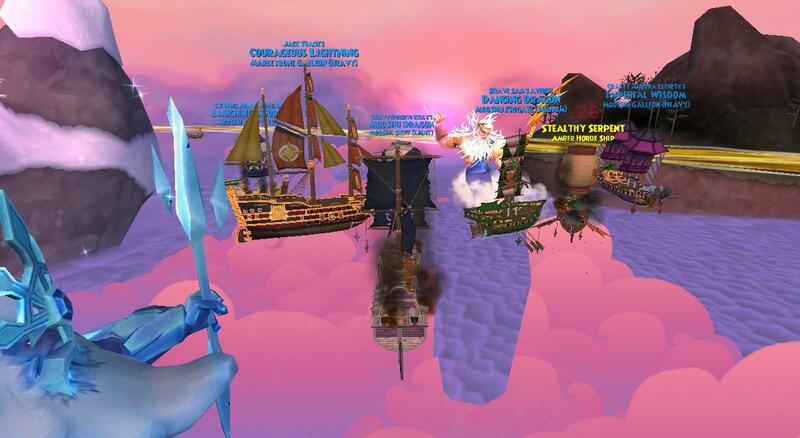 Yesterday afternoon was my second NXP party and we had a decent size tango of us pirates. 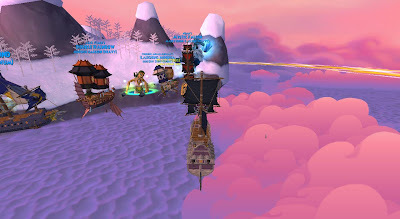 There was about 8-10 of us and we headed to Subata Skyway in Mooshu to fight some of the high level Amber Hoard ships. We were fighting these because along with giving good nautical experience, they also drop some great ship parts! One of the items that was dropped gives Storm Lord! I had a great time, even though I couldn't stay too long. I hope everyone else did too! Thanks to all who showed up. I have a little something different planned for next Friday, so watch for the post announcing that. I should be making it on Monday.